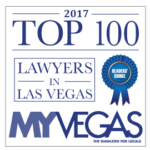 Since his admission to the Nevada bar in 1995, Dan has handled some of the largest personal injury matters in the history of Nevada. The first 13 years of his practice were dedicated to personal injury law from the defense perspective in both medical malpractice and accident cases. In 2005, he then shifted gears into the representation of serious accident and medical malpractice victims. In 2014, he served as lead counsel in one of the largest settlements for an individual Plaintiff in the history of Nevada at $28,000,000.00 (Twenty-Eight Million Dollars). 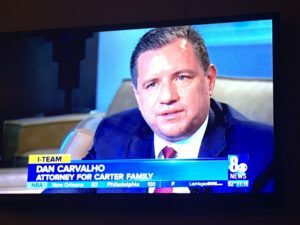 His services are sought out by other law firms to serve as co-counsel in some of the most difficult and challenging personal injury matters involving car and trucking accidents, medical malpractice, premises liability, dangerous construction, negligent security, product defects, legal malpractice, and medical device injury. His 2008 discovery into the workings of the Las Vegas Gastroenterology group that infected Nevada patients with Hepatitis C assisted in the criminal indictment and conviction of physicians and medical care providers. In law school, Dan served on law review and was the recipient of the American Jurisprudence Award in the area of law that has been the focus of his practice for decades, i.e. Torts. One of his first jury trials in 2006 representing an accident victim resulted in a $1,013,000.00 (One Million Thirteen Thousand Dollars) verdict against Target Corporation. Dan is a member of the Million Dollar Advocates Forum. 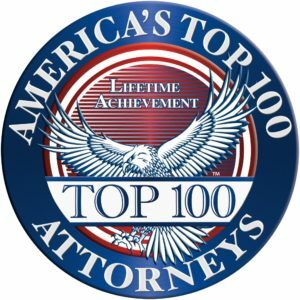 Membership in this organization is reserved for those trial attorneys who have through either jury verdict or settlement achieved recovery for their clients in excess of one million dollars. Dan is a unique member in having qualified for admission by both jury verdict and settlement on multiple occasions. Dan obtained his Bachelor of Arts degree in 1991 from Whittier College in Southern California, and his law degree in 1995 from the University of Idaho College of Law wherein he was ranked in the top 20% of his class. Dan is an avid UNLV basketball supporter and serves on the Board of Directors of the Runnin’ Rebels Club along with multi-faceted business leaders in the community. Dan and his wife Jennifer are involved in various charitable and philanthropic endeavors in the community including the representation of children who are taken from their homes for their own safety, as well as assisting underprivileged students in the Clark County School District. In his spare time, Dan enjoys spending time with his wife and their two children. $1,000,000 (Medical Malpractice- Injury during Cervical Epidural Injection). $650,000 (Medical Malpractice- Failure to diagnose epidural hematoma). Dwello v. American Reliance Insurance Co.
117 Nev. 525, 25 P.3d 898 (2001).